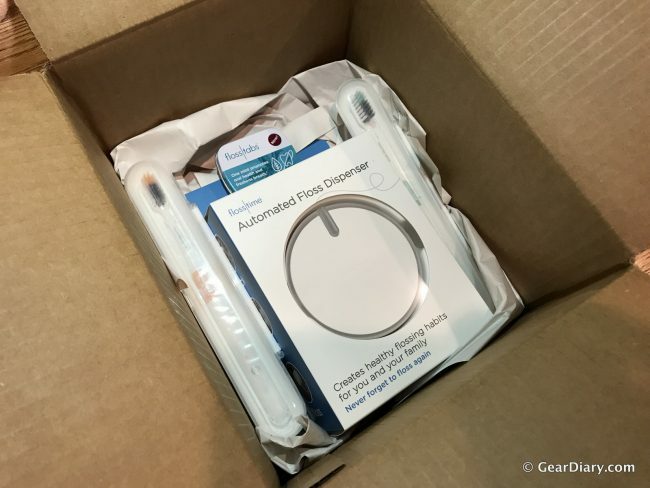 Smile Pronto launched Smile Club, a new oral healthcare subscription kit that’s designed to deliver a complete ecosystem of oral care products straight to your door. 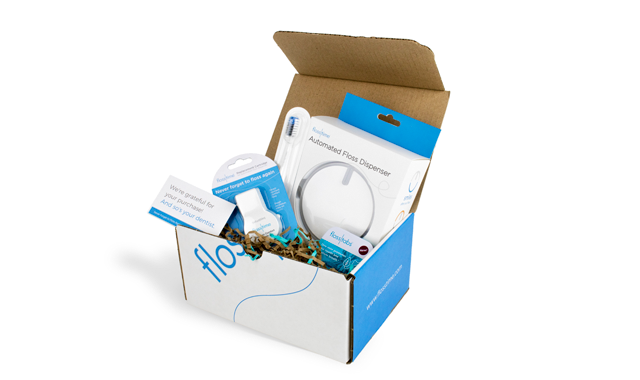 The tri-monthly delivery can include items like Flosstime, a special toothbrush, and “smart mints” that are designed to enhance breath and clean teeth at the same time. Start your subscription for $31. 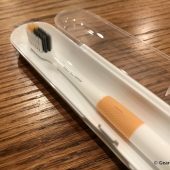 As a fan of oral health and hygiene, as I hope you all are as well, I was instantly interested in this new subscription kit from Smile Pronto. Smile Pronto is the makers of the worlds first automated floss dispenser, Flosstime. 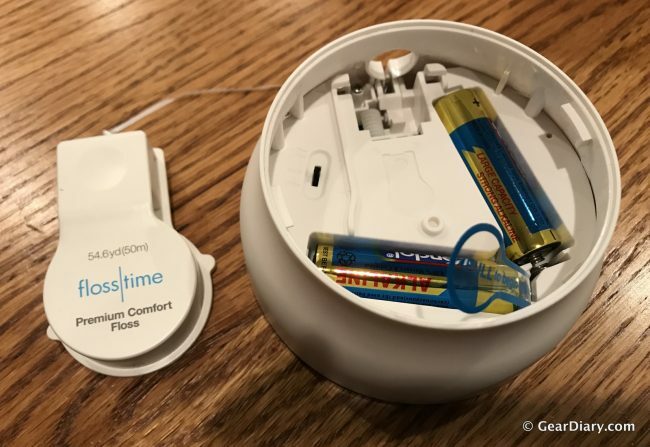 Flosstime is a battery-powered dispenser that gives you the perfect amount of floss at the touch of a button. The floss dispenser also has LEDs built-in to remind you if you haven’t flossed in a while. Flosstime will frown if you haven’t flossed in a while or smile after you’ve flossed. The Flosstime automated floss dispenser is designed to be used with either one or two people. The rear of Flosstime with the cover plate removed. The Smile Club Starter Set includes one Flosstime and one floss refill cartridge. You’ll get floss cartridge deliveries every three months for $5 each. In addition to the Flosstime and an extra floss refill, you also have the option of adding two other neat oral care items. If two people are using the Flosstime device, you can fine tune your delivery frequency to ensure you have enough floss at all times. Flosstime also has accessories available to make it more fun for kids. 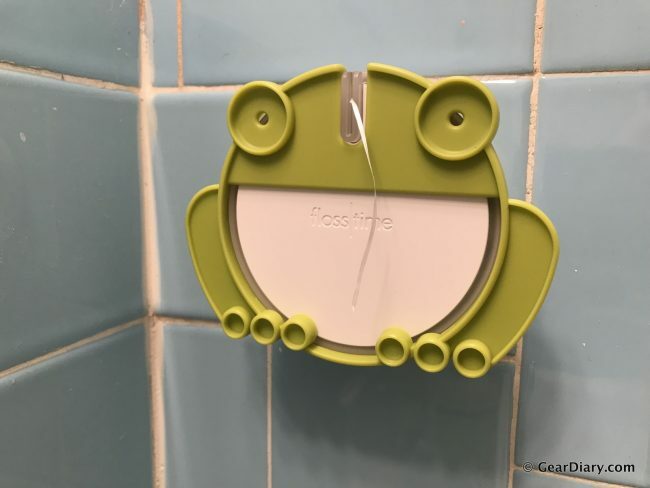 You can turn your Flosstime device into a frog or a crab. Check out the photo below. For an additional $6 every three months, you can add a toothbrush called Brushtime that comes with its own travel case. The toothbrush uses three type of antimicrobial fibers to make it self-cleaning. The high-tech fibers are spiral-shaped, tipped in a point, and set in a pattern that is supposed to focus cleaning along and below the gum line where the gross stuff accumulates. Seems like a pretty high-tech manual toothbrush to me! For an additional $5 every three months, you can also add Flosstabs to your delivery. 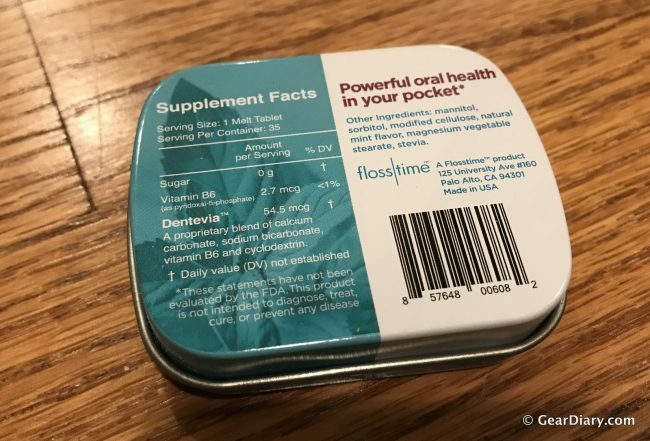 Flosstabs are “smart” breath mints that are designed as rapid melt mints to be an on-the-go solution for clean teeth, healthy gums, and fresh breath. The mints are a proprietary blend of ingredients including calcium carbonate, sodium bicarbonate, Vitamin B6, and cyclodextrin. These ingredients have more than 40 years of clinical data and the FDA regards all as safe. Apparently, the Flosstabs are designed to target only the bad bacteria in your mouth and leave “guardian” bacteria alone to do their job. I’ve been using Flosstime for the past couple of weeks and can confirm that it does help me remember to floss. Maybe not every day, but when I see the frowny face blinking at me, it makes me feel guilty enough to take care of my teeth. 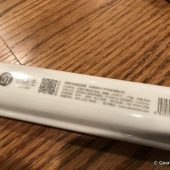 The Brushtime toothbrush seems to do a fine job on my teeth however I haven’t noticed any significant advantages over standard toothbrushes. The Flosstabs, however, I’ve noticed do work fairly well to neutralize bad breath on the go. They taste good, dissolve fairly quickly, and don’t leave any bad sugary aftertaste. 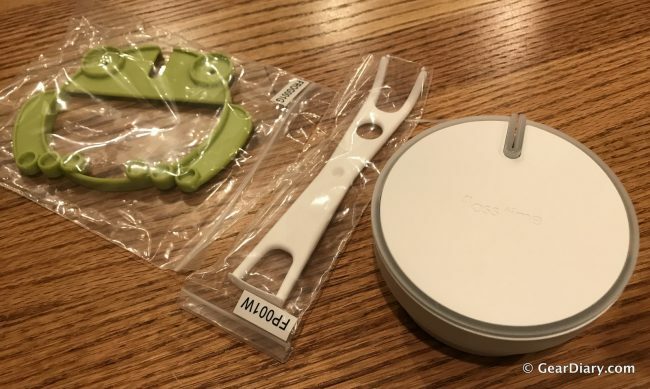 Flosstime, and accessories: Frog cover plate and re-usable floss pick. Check out Smile Pronto’s new all-around oral healthcare subscription at Flosstime.com.